Counsellor Card Will Be Given In The Event of Login Bonus! 6.When this event ends, Leaf Liquor unused will be converted into food automatically and send to your account. One Leaf Liquor = 50K Food. The brand-new Wooden Ox event will meet with you finally. 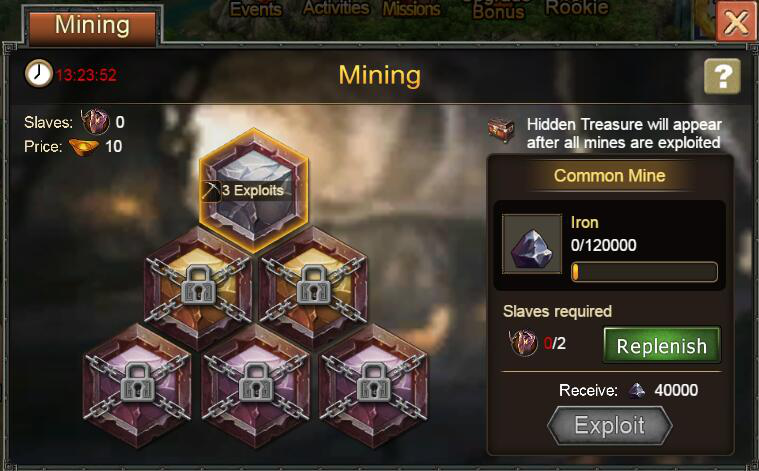 Players can gain rich resources including tons of food, recruit orders, S.Iron and so on from event, as the same time, you also have a chance to get multiple rewards. All players can have a carnival together around the whole country. Take action quickly! Don’t miss it! 1. 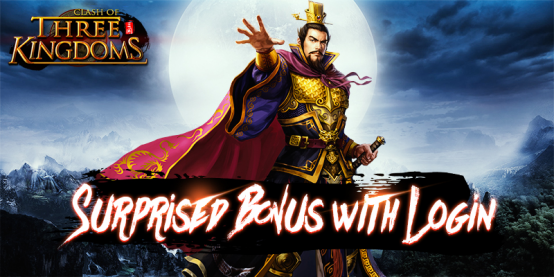 During the event, players kill enemies in country war to gain Merit which is counted by a certain proportion of player’s kills numbers. 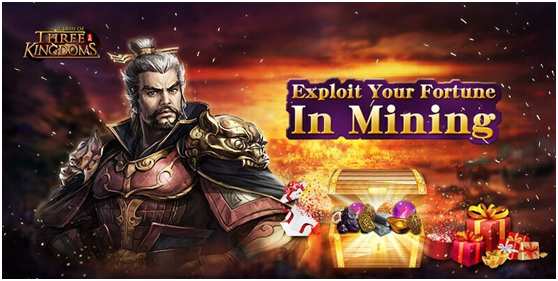 When merit progress reaches the full requirement, the 30 minutes funds distribution stage will be opened. 2. 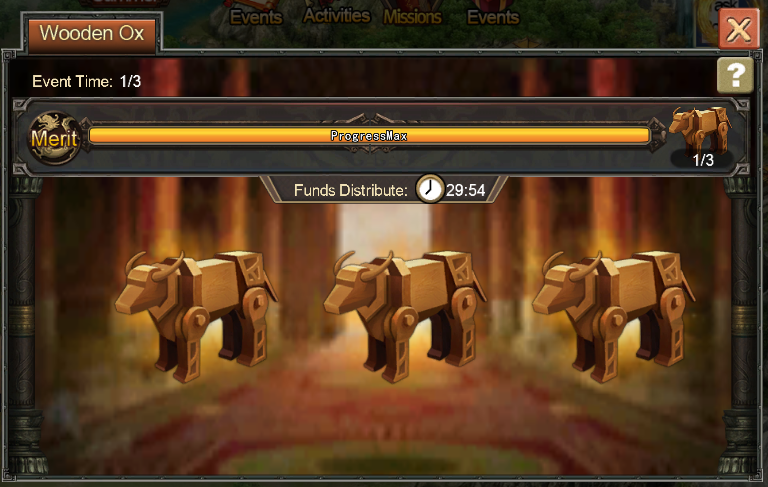 During the stage in funds distribution, players can click “wooden ox”rewards to get abundant rewards, such as tons of food, recruit orders, S.Iron and so on. 3. After claiming three wooden ox’s rewards, players can freely claim one round rewards, then players can continue to claim rewards by costing golds. The event has three rounds for players’ participation, and the rounds rewards are different in each round, meanwhile, players have the chance to win all the wooden ox rewards and rounds rewards with 2*Crit, 4*Crit and 10*Crit. 1. Lv. 60 is required to join this event. 2. During the stage in funds distribution, killing enemies can’t gain and add Merit. 3. You need to claim rewards manually before the end of funds distribution. 4. When funds distribution ends, unclaimed reward will be cleared. A brand-new event is coming! During the event, when your accumulative login days reach specific times, you will get corresponding rewards! Not only foods are here, but also other amazing resources and items are waiting for you. Don’t hesitate and move quickly! During the event, when your accumulative login days reach specific times, you will get corresponding rewards! 1.Only when your accumulative days reach specific times, players could claim corresponding rewards. 2.If you only login the game for 1 time during the event, you can only claim the first reward.